As I read about historical sites in Montreal, I grew more excited for our trip. Historic buildings, fine architecture, archaeology, and even little plaques commemorating the great achievements of humankind thrill me. I read as much as I could about Montreal Canadiens and found that loads of history would all be within walking distance of my hotel, Le Saint-Sulpice! 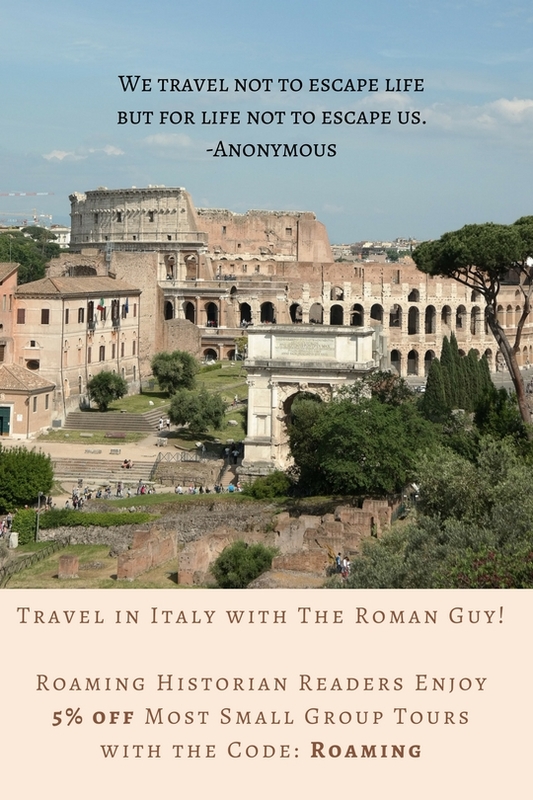 As the trip grew nearer, my anticipation built…and when I arrived…I was not disappointed. From the moment I stepped out of our car onto the cobblestone rue Saint-Sulpice, Old Montréal had me under its spell. 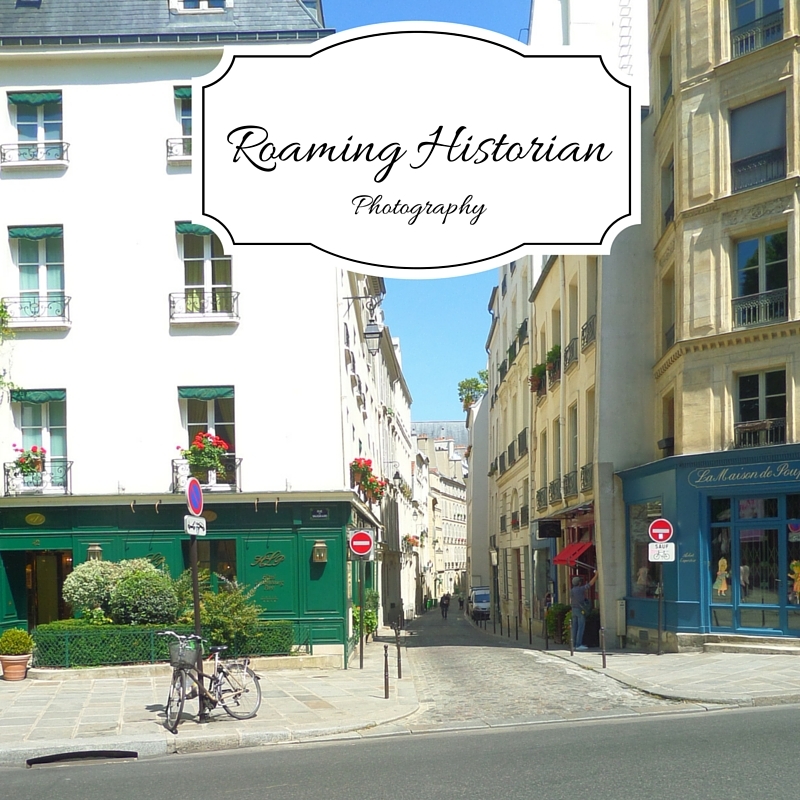 I wandered the various lanes and boulevards charmed by the buildings spanning almost four hundred years of history. Their arched doors, flower-boxed windows, wrought-iron accents, and stone walls beckoned to me to explore. Listening to the clip-clop of the horses, I was immediately transported to the past. I imagined wealthy mansion owners strolling down the streets dressed in all their finery. I thought of the lives of early French settlers as they lived within a fortified city—the very area I was exploring. The city is a dream for those fond of history (or for those looking for good food and fine art)–there are many things to do and historical places to visit in Montreal. To help facilitate your own historical reverie, I’ve created a walking tour of Old Montréal sure to delight the senses and tantalize the imagination. After roaming all over Old Montréal and trying to find the perfect place to start the tour, a member of Montreal’s Tourism Board suggested Pointe à Callière Archaeology and History Museum (350 Place Royale). Her reasoning being that they offer a short multimedia presentation on Montreal history giving context to the walking tour. An excellent suggestion indeed. Even without entering the museum though, there is another reason this area is the perfect starting point—it is the birthplace of Ville-Marie (Montréal’s first name). The museum stands on the site where founders, Paul de Chomeday de Maisonneuve and Jeanne Mance, started the Ville-Marie colony in 1642. The fort is gone, but across the street from the museum’s main entrance is the former Customs House (1836) where goods from the nearby bustling port passed through customs. Today, the Customs House hosts some of Pointe à Callière’s exhibits. On the day we visited we saw permanent exhibits on pirates, St. Lawrence Iroquoians, early Montrealers, and archaeology. There are fun, interactive exhibits for children; my husband and I enjoyed standing on wobbly boards to see if we had “sea legs”—of course we are children at heart. →Go straight (west) on Place d’Youville. On the corner of Place d’Youville and rue Saint-Pierre is our next stop. Walking tour makes a big rectangle. See “Tips” for link to map. 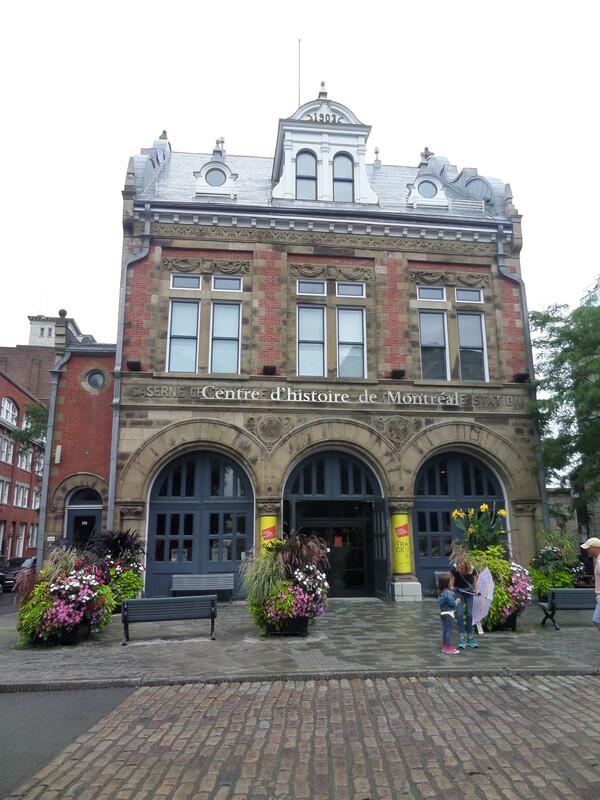 Centre d’Histoire de Montréal (335 place d’Youville): Housed in a charming former fire station (1903) with a colorful, ornate exterior this history center chronicles the city’s fascinating past. There was a fun, temporary exhibit portraying scandalous and illicit activities from 1940-1960 through tongue-in-cheek and provoking displays. Admission rates are quite reasonable and the museum gives a clear timeline of Montreal’s history. →From Place d’Youville, turn right (north) on rue Saint-Pierre and go straight to rue Notre-Dame. Turn right (east) on rue Notre-Dame. Within a few blocks the magnificent façades of our next cluster of stops will appear before you. Saint-Sulpice Seminary (130 rue Notre-Dame West): Finished in the early 1680s, this Sulpician seminary is the oldest standing building in Montréal. The priests of Saint-Sulpice played an important role in the creation of Montréal establishing a parish there in the late 1650s and becoming seigneurs of Montréal in 1663. A stone wall punctuated by iron gates surrounds the seminary. Little square notches in the wall and the gates provided me a glimpse at its fantastic architecture, stately wooden clock, and peaceful gardens. I wished for a closer view, but alas I couldn’t find tours listed. My respect for cultural sights, as well as my constant goal to avoid international incidents, caused me not to explore further. 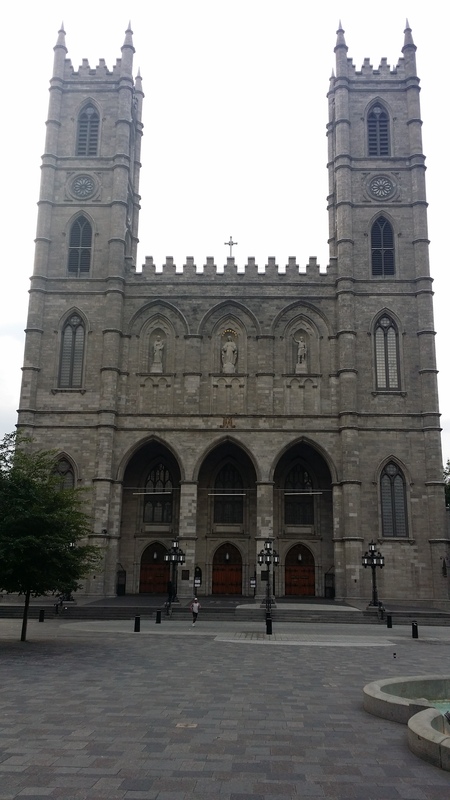 Next door to the seminary is the commanding Notre-Dame Basilica (110 rue Notre-Dame West). Its towers looking very similar to the Paris cathedral of the same name, I love its Gothic Revival exterior. If you’re feeling a little tired, wander around to the side of the church down rue Saint-Sulpice and sit on courtyard benches surrounded by well-manicured flowers and friendly squirrels. The first Notre-Dame cathedral opened in 1683, but as the parish grew so did the need for a larger church. New Yorker, James O’Donnell, constructed the basilica between 1824 and 1829; the towers were completed in 1843. For $5 you can enter the church and see its colorful interior. Bathed in blue, red, purple, gold, and silver with stained-glass windows depicting Montreal’s social and religious life, the sanctuary is a visual feast. As I wandered down the side of the sanctuary, I saw a ramp leading behind the altar. There is located the bronzed chapel of Notre-Dame du Sacre Coeur. The entire roomed seemed to gleam gold and I’ve not seen a chapel quite like it. *Tip: Go early (church opens at 8 a.m. most days) to avoid lines and crowds. Across rue Notre-Dame is Place d’Armes where a monument (1895) dominates the square. The structure reminds of tensions between Native Americans and European colonists highlighting five individuals from the early days of Ville-Marie: Paul de Chomeday de Maisonneuve, Jeanne Mance, an Iroquois warrior, Lambert Closse, and Charles Le Moyne. Place d’Armes was the site of a skirmish between settlers and Iroquoians in 1644; it was later a place where citizens watched military drills. If you’re wondering what the grand, neo-classical building across the street is, that’s the Bank of Montréal (119 rue Saint-Jacques West). It has its own rich history, elaborate lobby, and public museum. →Continue straight (east) down rue Notre-Dame. As you meander past cafés and shops, you will see many aesthetically-pleasing buildings from various centuries. After a series of monumental courthouses, a castle-like structure will appear before you on the left. That is Hôtel de Ville (City Hall; 275 rue Notre-Dame East). Built between 1872 and 1878 in the Second-Empire style with its mansard roof, classical columns, and tower atop a grand entrance, the building is an elaborate tribute to the municipal activities going on within. Enter to see the Beaux-Arts style Hall of Honor with its marble walls, gilded Corinthian columns, lamps of gilded bronze, and chandelier befitting a palace. The Council Chamber is equally impressive with stained-glass windows depicting Montréal life in the early 1900s. *Bonus: Behind City Hall is an open green space called Champ-de-Mars where two stone lines show evidence of the double walls of the fortified town. Across the street is a bubbling square of activity, Place Jacques Cartier. With its restaurants, artists, souvenir shops, and street performers, it’s fun to get swept up in the festivities. I avoided the caricaturists (deep aversion to having my features distorted for money), but enjoyed perusing art stalls. Over the years, the site was home to Native Americans, the governor’s mansion, and a public marketplace. With its close proximity to the water, it’s been an important area for centuries. Next door is a gray-colored mansion with a fanciful turret and delightful gardens—Château Ramezay (280 rue Notre-Dame East). Built in 1705, it was the residence of Montréal governor, Claude de Ramezay. Numerous dignitaries have passed through its doors, including Benjamin who came to try to coerce Québécois into joining the Patriot side of the American Revolution. He failed. Today, the mansion houses a museum where period-dressed guides show daily life and culture in the 18th century. →Continue down rue Notre-Dame going east to rue Bonsecours. When you arrive at rue Bonsecours look down the lane at the chapel; this is a great vantage point for a picture. Turn right on rue Bonsecours to proceed. Bonus: continue one block further on rue Notre-Dame to rue Berri to visit Sir George-Etienne Cartier‘s houses. This national historic site portrays Victorian grandeur and the life of an important statesman. To get back on the walking tour, go down rue Berri and turn right on rue Saint-Paul. 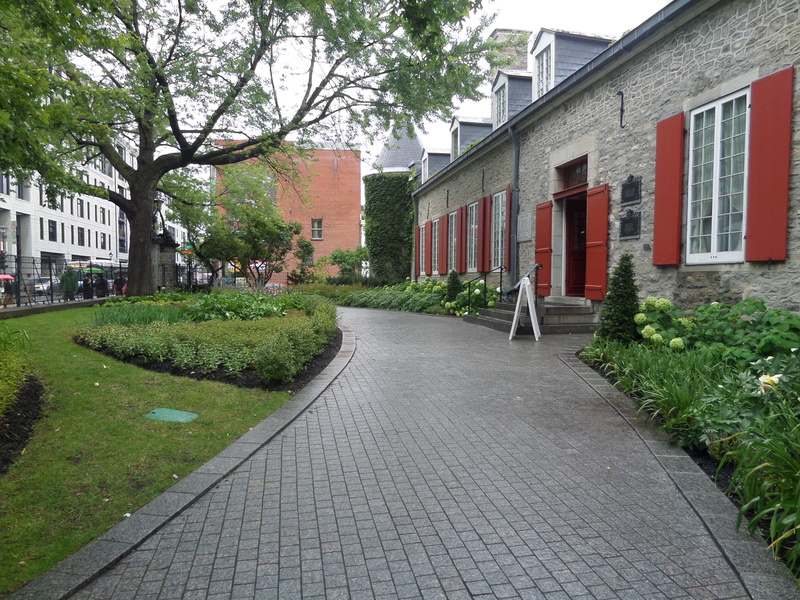 Strolling down rue Bonsecours, you will encounter a rock-walled home with a steeply pitched roof—the Pierre du Calvet House (401 rue Bonsecours). It just screams old-world charm to me. The piece-de-resistance though is the chapel of Notre-Dame de Bonsecours and Marguerite Bourgeoys Museum at the end of the street. The chapel is the oldest active pilgrimage site in the area. Marguerite Bourgeoys arrived in 1653 and founded Montreal’s first school, the original chapel on this site, and the Congrégation of Notre-Dame (a sisterhood who see Mary as a role model and active apostle). The current chapel (1771) showcases Romanesque touches, frescoed ceilings, and model ships hanging from the rafters-it is also known as the Sailor’s Church. The museum (a former school) recounts Marguerite’s life, work, and theology. 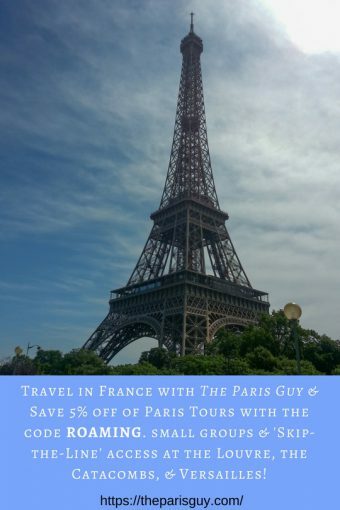 Viewing the chapel is free, but for the price of admission, you can tour the museum, climb the church tower (phenomenal view of port and city), visit the high-ceilinged, expansive crypt, and receive a personal tour of the underlying archaeological site. This was by far my favorite aspect of all the attractions I visited! A guide took four of us into the locked site where we saw evidence of a 2000+ year-old Native American fire pit, posts from the original wooden stockade, and the foundation of the first stone chapel. Our guide captivated my imagination with rich stories and digital images from a recent dig. →Go west on rue Saint-Paul. 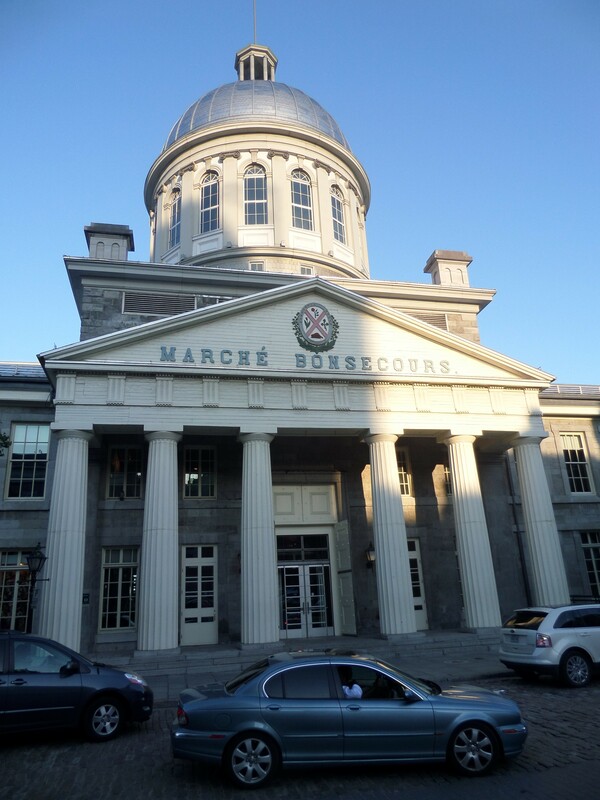 With its gleaming dome, Greek Revival portico, and neo-classical lines it would be difficult to miss Bonsecours Market next door. Inaugurated in 1847, this colossal structure served as Parliament of United Canada and City Hall before hosting a public market for a century. Today it’s filled with eateries and boutiques. Marche Bonsecours epitomizes the tone of much of rue Saint-Paul, which is lined with shops, galleries, and restaurants. Wander down the stone street and enjoy the throngs of people strolling, eating, drinking, and shopping. Further down the road the traffic lessens and fine restaurants like Chuck Hughes’ Garde Manger can be found (rue Saint-François-Xavier). At 453 rue Saint-Francois-Xavier is the former Stock Exchange (now Centaur Theatre). Designed by George Post, the same architect of New York City’s exchange, it boasts a colonnade reminiscent of a Greek temple. Perhaps symbolizing a deity of another type within? I hope that you enjoy roaming through Old Montréal as much as I did. If you go (or have been), please share with me your favorite place. I would love a reason to go back! Duration: 45-60 minutes for strolling at a leisurely pace without going to bonus areas or entering attractions. Ouest is French for west and est is French for east. Street signs in Montreal are written in French, so west is abbreviated with and O, e.g. rue Notre-Dame O is rue Notre-Dame W.
Here is a link to maps of Montréal–a detailed map of Old Montréal is available in the brochure racks at most historical sites. I would recommend picking one up. Notre-Dame Basilica, the western tower is named Perseverance and the eastern tower Temperance. Hi. When you’re writing in English the name Montreal doesn’t require the é. In fact, putting in the é in English is a political statement. I did not know that. Thanks! What political statement did I inadvertently make?